BMW will be unveiling the Vision iNEXT Concept tomorrow, officially. The iNEXT Concept is going to be the brand’s all-electric hatchback concept that shows off BMW’s vision (get it?!) for the future. The Bavarians have been teasing this new concept for a few days now, showing off some videos and short clips of it, as we approach its official unveiling. Though it seems some one jumped the gun a bit, as new official photos of the iNEXT have been leaked. In these new leaked photos we get to see the Vision iNEXT in its entirety and it’s certainly a hatchback and not the sleek sedan we saw last year. Having said that, this isn’t necessarily replacing that car but showing off yet another future electric car that BMW will develop in the coming years. 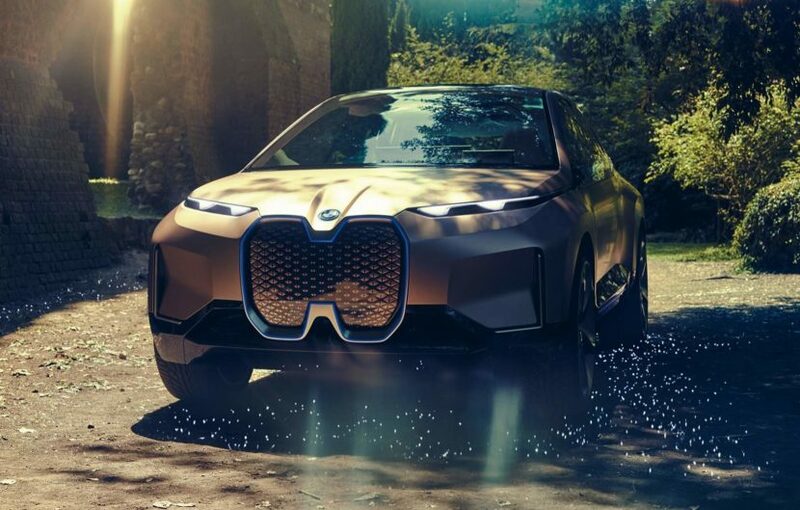 We know that BMW is preparing a massive electric car offensive and this will just be one of the cars in the pipeline. 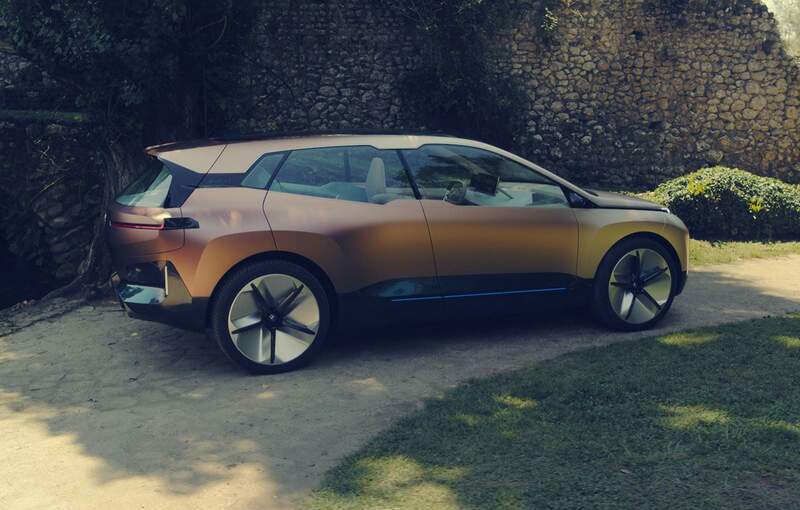 With brands like Mercedes-Benz and Audi coming out with exciting new electric cars and concepts, the electric vehicles segment is heated up, with different visions being presented. The Vision iNEXT is pretty sporty for a hatchback/crossover thing with some interesting wheel arches, that seem to be flared out with a squared design and that looks different and cool. It also seems to have a really nice interior, one that’s very open and airy, even by EV standards. BMW also seems to have taken Tesla’s massive center screen design from the Model 3 and improved on it. So rather than just having one massive screen in the center, it has that plus a smaller screen in front of the driver for all normal driving information. There also seems to be a roof made entirely from glass and a back seat that’s made from acid-washed jeans. In these photos, a woman sits in the back seat and is either hallucinating about an iDrive controller built into the rear seat or there’s some sort Gesture Control-like feature with lighting inside the seat for visual feedback. 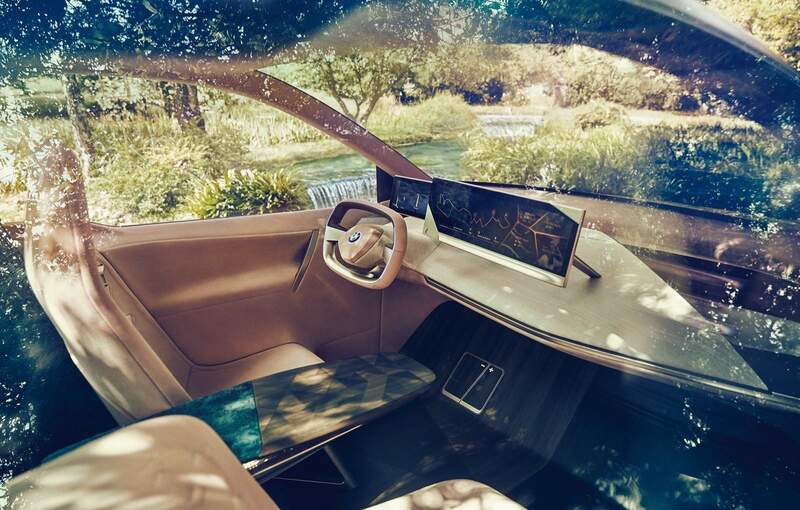 Overall, the BMW Vision iNEXT Concept seems to be interesting, if not thrilling. 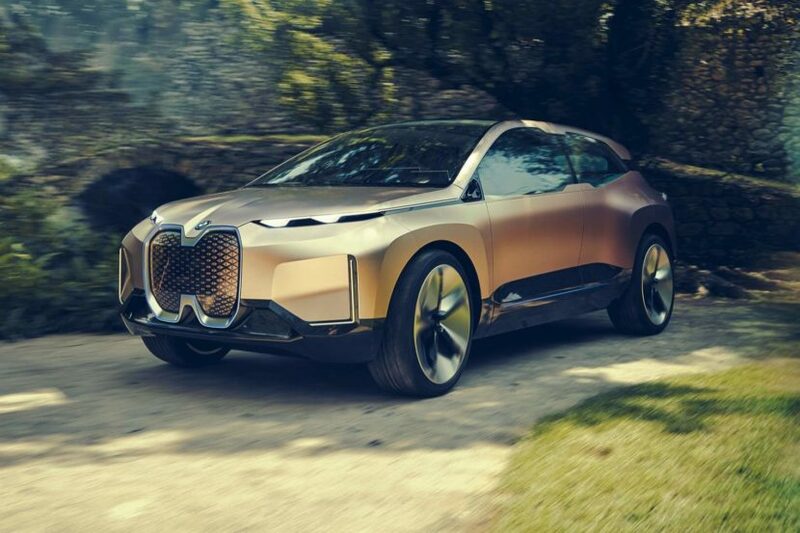 Full disclosure: BMW actually invited us to the embargoed reveal of the iNext concept earlier this week and we agreed, but since the pics are out, they’re fair game. You’ll have to wait just until tomorrow for the full details to be shared. Next post Toyota planning track-focused Supra, could BMW Z4 get the same?